If you have ever laid eyes on the English Springer Spaniel, you are sure to believe it's the best pooch. Like with Cocker Spaniels, these medium-sized dogs are a sweet-faced bundle of energy and stamina that can double up as a mannerly pet during the week and a hunting buddy on weekends. Built for long days in the fields, the English Springer Spaniel is a tough, muscular hunter that stands 19 to 20 inches at the shoulder and weighs 40 to 50 pounds at most. As for their appearance, they have a double coat that comes in several colors and patterns and long, lush ears that are well complimented by the kindly, trusted expression on their eyes. You are going to want to feed your English Springer Spaniel a high-quality dog food that will cater to its digestive needs. However, the nutritious diet should be appropriate for its age and activity level. It is also important to note that some dogs tend to become overweight when you overfeed them and so you need to watch what you are feeding your dog. Reduce the table scraps to only a few portions every week making sure to avoid foods with high-fat content or completely do away with scraps altogether. Treats are also a great idea if you want them to take accomplish a task or take instructions during training. However, try not to give them too many treats. Your dog might become obese before you realize it. It is also a good idea to check with your vet if you are unsure about your dog’s diet or if you have any concerns about its weight. The English Springer Spaniel is a pretty easy dog to groom. All you need is some weekly brushing to remove loose hair and dirt and keep his coat looking shiny and healthy. If there are any tangles, you can easily work them out with a metal dog comb or a slicker brush. You can also give it a bath every once in a while to keep it clean smelling fresh and trim its nails regularly to avoid overgrowth. Teeth should also be brushed regularly as part of the healthy upkeep process. Although English Springer Spaniels are happy with just staying indoors, they make great walking and hiking buddies. You don’t need to put in a lot of effort to get them engaged! These fur balls favorite pastimes are long walks, swimming, and playing a game of chase and fetch. Exercise can also come in the form of training for dog sports like tracking, obedience, rally, and agility. The English Springer Spaniel puppies and adults alike are highly intelligent and lively which makes them a highly trainable breed. If you want him to grow into a well-adjusted and well-mannered little fella, puppy training, and early socialization classes are absolutely necessary. 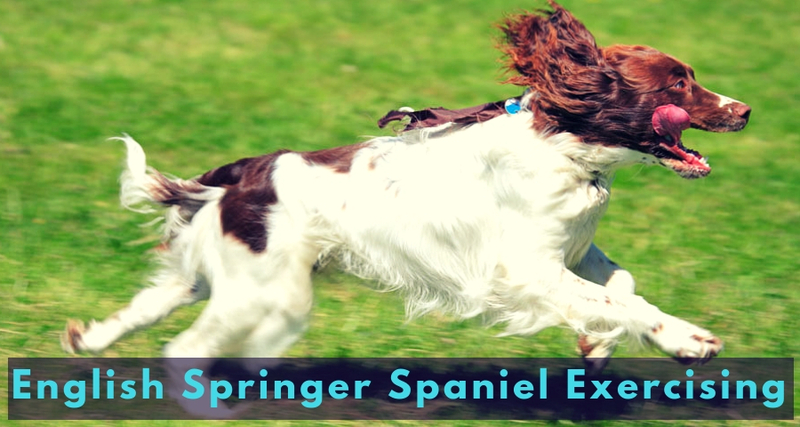 However, Springers are often very finicky and tend to be forward explorers of their environment so you may want to exercise a little more control during training. Are They Good For Emotional Support Purposes? Yes - English Springer Spaniels are great emotional support dogs. They are lovable, high-spirited dogs that have great energy, stamina, and brains. They are also quite intelligent and highly trainable, especially when they are young pups, and only require weekly brushing to remove dirt and loose hair. However, you need to be extra careful about leaving them alone for long periods of time as they tend to get miserable when neglected and adopt undesirable behaviors as a result. 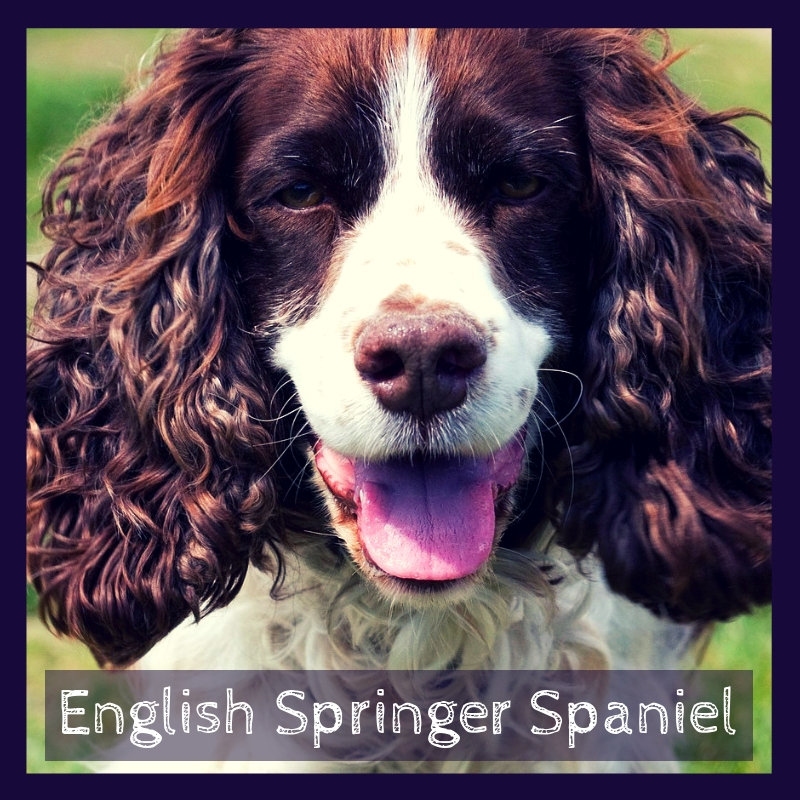 Some dog breeds face dozens of health complications in their lifetime but the English Springer Spaniels adult dog is, for the most part, a healthy dog breed. However, there are some health and genetic screening considerations that are specific to the breed including ear infections, eye conditions, and hip dysplasia. 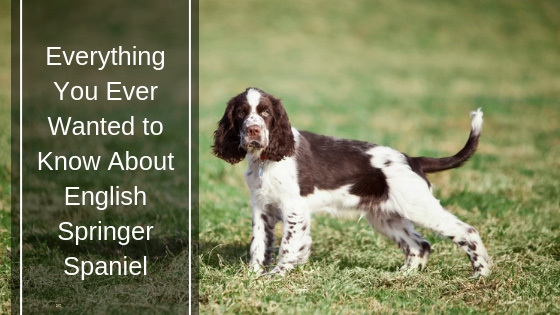 If you are an English Springer Spaniel owner, regular screenings at the vet are definitely something you want to do often. In addition to regular screening, you also need to check your dog’s ears often for any signs of infection and clean them when necessary. Moreover, despite being cute and adorable, the breath of little furballs can be downright disgusting if you do not brush their teeth regularly. So, as part of the regular healthy practice, you need to ensure that their teeth are brushed on a regular basis. There is no doubt that the English Springer Spaniel is the ultimate pooch. It is cheerful, affectionate, active, energetic, intelligent, loyal and quite easy to train. Not to mention it has an exceptional sense of smell that makes it a superb hunting buddy. It is also quite friendly and obedient with good manners and, therefore, gets along well with just about anyone. However, since it is bred to work closely with humans, it tends to get miserable when left alone for long periods of time and can result in undesirable behavior.